MogoBlog MogoLicious Tasty Tip of the Day: I LOVE eggnog. It’s so creamy, so rich, and so flavorful! It feels like such a fun and decadent thing to sip on, which makes it feel extra special and totally worthy of holiday parties. When you’re ready to serve, beat the egg whites on high until foamy peaks form. (this is optional). ***As always, consuming raw eggs is at your own risk and totally up to each individual person. 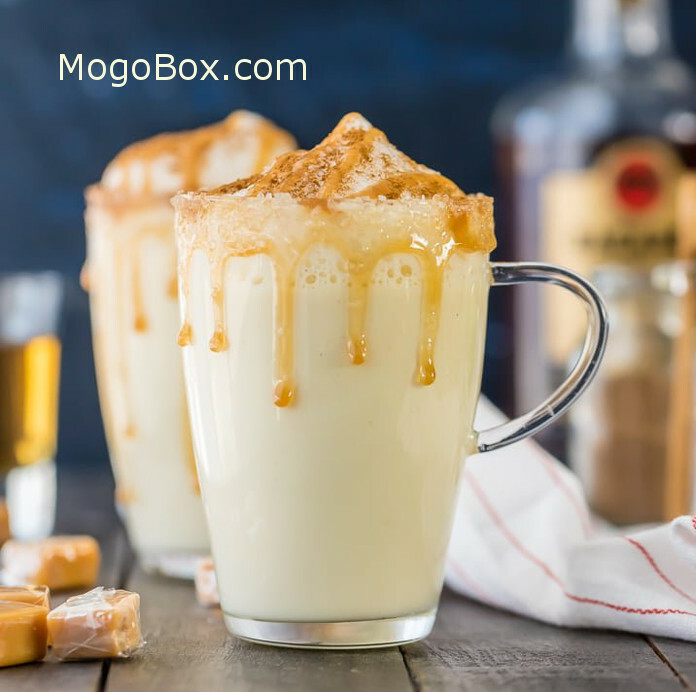 This entry was posted in MogoBlog, MogoLicious and tagged #MogoBlog, Caramel Syrup, Cinnamon, Cream, Dark Rum, Egg Whites, Eggnog, Eggs, Milk, MogoBox, MogoLicious, Nutmeg, Sea Salt, Sugar, Vanilla Extract.